Sizes from 1 to 4 cu. ft.
A wide selection of industrial ovens, up to 700°C. Sizes from 4 to 32 cu. ft. Uniform thermal stress of products before shipping. The TCC-150 model meets strict JEDEC methodology. Qualmark chambers combine thermal and repetitive shock. Table sizes from 1.5 to 8 square feet. Change rates up to 70°C/min. Our smallest HALT system and tabletop repetitive-shock unit suitable for labs. HALT testing without LN2, reduced overall costs. QFusion high volume HASS testing system. Six tables in one chamber. Popular models in stock for shipment in as little as two days. Look for the icon on our site. Short-term rentals of three months to a year. Benchtops, reach-ins & thermal shock. Find a reconditioned HALT chamber for less than new. Or modernize your existing unit. Start your HALT testing program right with our expert help. Get help from our HALT testing professionals. For new or advanced applications. Test lab and consulting services for new or existing HALT programs. Chamber Care plans offer extended protection and include annual PM. Upgrade your existing chambers with our Web Controller. 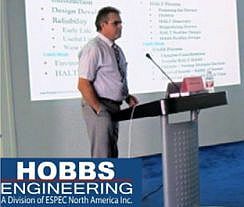 ESPEC’s separate training group offers seminars, webinars, and consulting on basic and advanced reliability testing. ESPEC North America has sold and manufactured environmental test chambers in the United States since 1983. 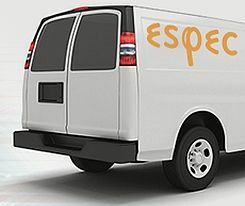 ESPEC North America now includes Qualmark as part of its product line and operations. 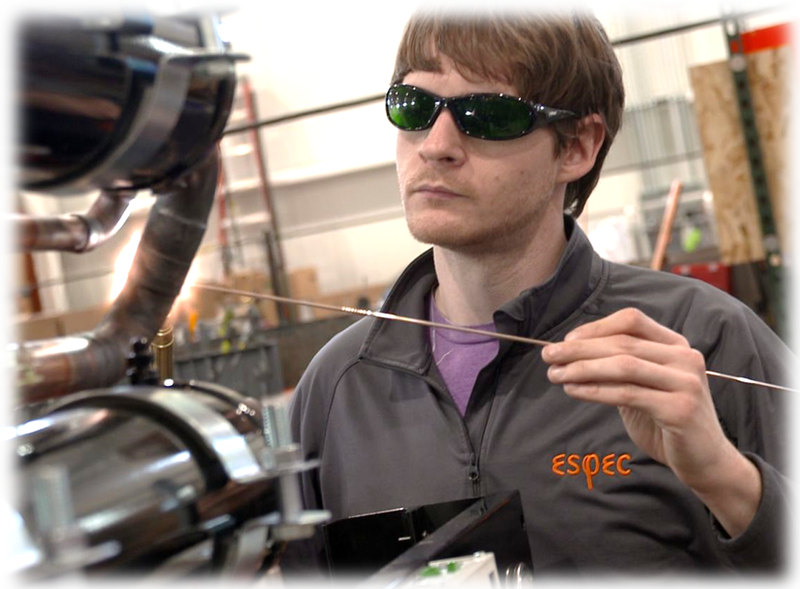 The ESPEC Group also includes manufacturing in Japan, Korea, and China, as well as sales & service around the world. Both our U.S. and Japanese manufacturing operations are ISO–9001 registered. ESPEC environmental test chambers create temperature & humidity extremes in chambers from benchtop to drive–in. Standardization allows ESPEC to concentrate on quality construction and innovative designs. Many of the environmental test chambers built include optional features or customization to exactly fit the customer’s application. Qualmark brand chambers create extreme temperature and mechanical shock conditions for reliability testing during product development. Have a unique application? Let’s start talking about your environmental test application. 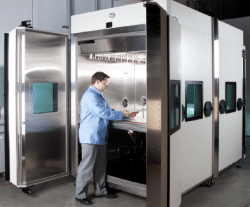 We can help configure a standard chamber or design a custom system.